There’s a dark magic about the high places of the world—the ancient mountaintops where old spirits still dwell. It’s in the shadows of these earthen spires that the old ways endure, that man still fears nature, that the forests still tell their tales. Places like Pakatakan Mountain, hidden deep in the Catskills, are still home to artists like Two Dark Birds, those particularly intuitional bards who can tap into the ancestral mysticism of a place and channel it into subtle sounds to give us flat-landers but a taste of that antediluvian augury. Okay, maybe that’s a bit heavy-handed; it is folk music after all—an inherently simple and straightforward genre. But there certainly is a magic to it, a kind of backwoods witchery that the only the best of the style can really capture. Steve Koester, creative force behind Two Dark Birds and formerly of Maplewood and Punchdrunk, is one such luminary. 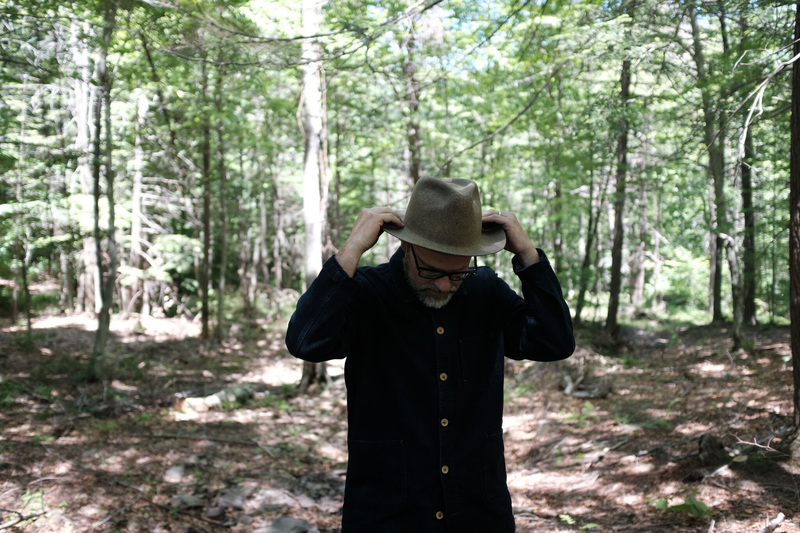 His forthcoming album Bow (the third from Two Dark Birds) displays that spiritual connection to the land in a way his previous works have only touched on. Bow is a step in a darker direction for Two Dark Birds, having formerly preferred to remain in the familiar waters of traditional American folk and bluegrass modes. “Who Will Call you Home for the Night?” is a smoldering burner of a track, born in the dark places between the trees and written in the dancing shadows of a dying fire. Koester’s understated guitars and vocals carry the tune, as fiddles provide accents overhead—controlled plucking at times, tortured wails at others. The song itself is written from the perspective of the Wilder Mann, the half-man-half-beast of European folklore, as he looks down on modern society, trying to make sense of the madness. The video accompaniment illustrates this quite nicely, juxtaposing images of playing children with the grotesque form of the Wilder Mann. This darkened atmosphere may be new territory for Koester, but he wears it well, likening TDB to an American counterpart to the dark European neo-folk sounds of groups like Sol Invictus and Aeldaborn. Check out the new video for “Who Will Call you Home for the Night?” below, streaming exclusively on Culture Collide, and pick up the album Bow, out now on V-fib Recordings.